Are Solar Panels Dangerous for Firefighters? Solar energy is good for the planet, but are solar panels dangerous for firefighters? Solar panels are a great way to ameliorate the harmful effects of climate change, lower our household energy costs and decrease nonrenewable energy dependence. But is there a downside to all this cheap energy – are solar panels dangerous for firefighters? Solar panels, typically installed on the roof, are rigid and produce electricity (obviously), potentially making the area unsafe in an emergency situation and threatening firefighters’ ability to respond in a timely fashion. Many governments and first responder organizations have cast a spotlight on this difficult issue. How do we reduce climate change without creating a hazard for ourselves and first responders? Solar power has surged in popularity over the past decade. 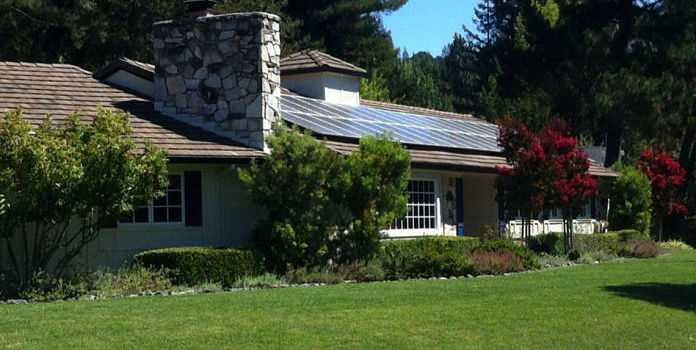 In 2009, only 30,000 homeowners in the United States had solar panels. In 2013, 400,000 homes had solar panels, thanks mostly to the cost of solar panels dropping over 60% since 2010. In 2016, that number hit 1 million! Solar is becoming a more affordable and realistic option for households in the United States, and estimates from the Solar Energy Industries Association predict that 2 million American households will have solar panels on their roof in the next few years. This increases the likelihood that firefighters will have to fight blazes on buildings outfitted with solar arrays. So, Are Solar Panels Dangerous for Firefighters? Firefighters already face many hazards in their line of work. 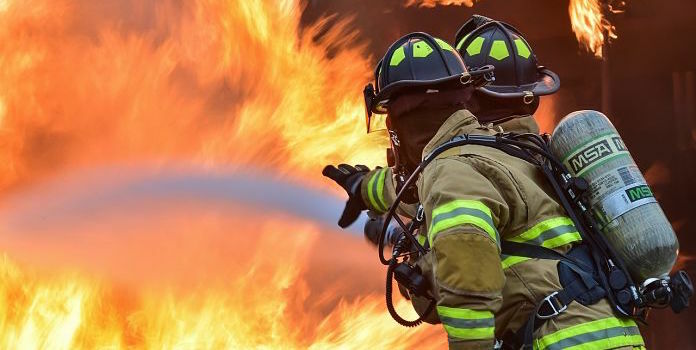 They are exposed to a variety of carcinogens from burning materials, can suffer from burns or smoke inhalation, or even fall or be trapped while fighting a fire. Items such as propane tanks and gas lines also pose major hazards because they are flammable and can cause explosions. Solar panels, on the other hand, are not flammable. However, the Department of Homeland Security funded several studies conducted by Underwriters Laboratories in the early 2000s which determined that the risks to firefighters from solar cells are, unfortunately, abundant. Let’s take a look at a few. A typical solar panel weighs around 40 pounds, so an average-sized 5kW installation with 20 panels adds another 900 pounds (with additional hardware) to a roof. This excess weight doesn’t seem like much, but it can reduce the precious time that firefighters usually have to fight the blaze before a typical roof collapses. It also poses the added risk of potentially hurting or trapping firefighters working inside the home. Lt. Paul McAllister, a firefighter in Rhode Island, told a local television station that firefighters often attempt to fight fires from outside the building rather than enter the house if there are solar panels on the roof. Photovoltaic panels can also get in the way of cutting holes in the roof for ventilation, which impacts the time it takes to put out a fire. Ventilation helps reduce heat, prevents fires from spreading, and increases visibility. Unfortunately, solar panels reduce the area available on the roof for vents. The panels themselves are also too fragile for firefighters to walk on, nor would they support heavy equipment. Since solar really began to take off, cities and counties are adopting updated codes to further protect firefights. For example, fire codes now require a certain amount of space between the edge of the roof and the solar panels, to allow firefighters to safely walk around the panels. Finally, firefighters often turn off power to buildings during the course of their work to decrease dangers while they’re working. In the past, turning off a photovoltaic electrical grid could be a bit more complicated than simply flipping a breaker, but these days code requires all solar installations to have an easily accessible disconnect switch to turn off the solar installation. While the solar power setup also can vary from house to house, based on interconnection rules (how the panels connect to the power grid) and way the array was installed, the disconnect switch is typically integrated into the inverter or installed next to the inverter or electrical panel. The photovoltaic panels can also create power from large emergency lighting, the bright beam of a firefighter’s flashlight, or even lightning. They can also retain a charge from a battery backup system. These electrified cells can burn firefighters, electrify equipment like ladders, or even electrocute the firefighters themselves. How Are Firefighters Adapting to These Dangers? In 2013, rooftop solar panels caused firefighters to change tactics while fighting a fire at a 300,000 square foot Delanco, New Jersey meat warehouse. 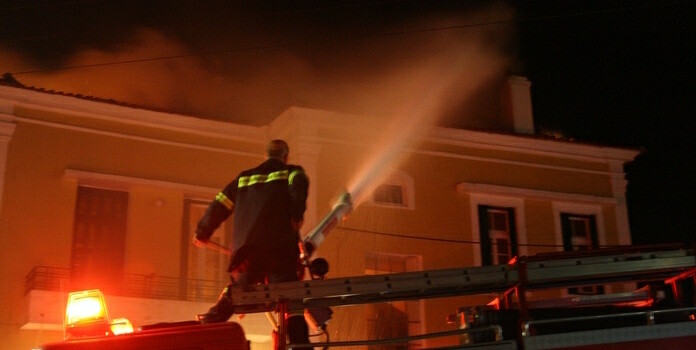 Although the flames were finally extinguished after 29 hours, the building was completely destroyed. Delanco Deputy Fire Chief Robert Hubler said. Indeed, the added weight, limited access to ventilation, and risk of electrocution can prove to be extremely dangerous for firefighters. 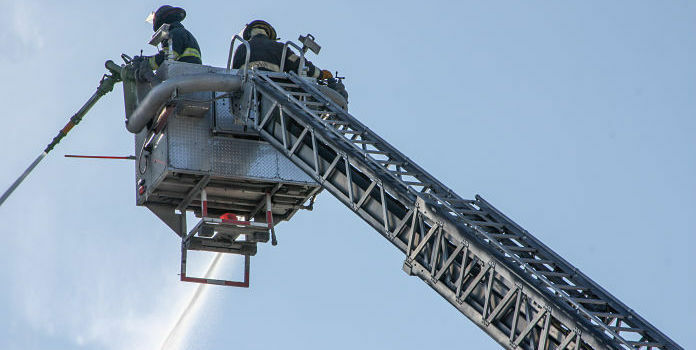 Because of the various risks involved in fighting a fire on the roof of a building that is outfitted with photovoltaic panels, emergency responders have started training firefighters for dealing with solar panels. There is currently no standard emergency responder protocol for solar panels during a house fire, but some state and regional agencies have established solar operations procedures. These procedures include shifting priorities from trying to save a building to preventing the fire from spreading to neighboring houses. This tactic is called defensive firefighting. Firefighters attempting to extinguish a fire in a house outfitted with solar panels can also cover the arrays with heavy tarps, limiting their exposure to light, so that these light-sensitive cells do not become energized. As mentioned, fire and electrical codes are also being updated to deal with these issues. Codes now require that solar components, including wiring and shut-off switches must be properly and clearly labeled. Code also requires a certain amount of space left open on the roof – not covered by panels – to allow firefighters to safely access the roof to cut ventilation. Although solar panels ameliorate the negative effects of fossil fuel dependence and help halt climate change, they pose many hazards and can be dangerous for firefighters. The government and renewable energy industries must work together to create better safety standards. The rising popularity of solar energy also requires firefighters to develop better training for emergency scenarios involving solar panels. Regulations must be unified and adhered to so that renewable energy companies in all fifty states are in compliance with research-based federal safety recommendations.